I was over on Instructables today. 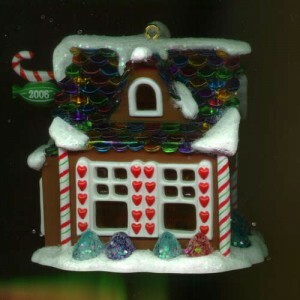 They have a variety of fun Gingerbread cookies and houses that people show how they did the assembly. It’s a great place to see folks being very creative. They are creative both in design and materials used. 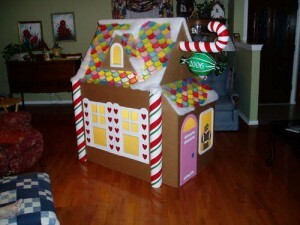 Just recently, a post appeared where an individual made a full size kids play house, using a Gingerbread House ornament as the starting point. The group of pictures outlining the steps from ornament to play house make it look easy enough to give it a try. It might be a good idea to draw the little ornament on a piece of grid paper and then redraw on a large grid… or use the company copy machine in magnify mode to bump the little ornament to the size kids will fit in. Most important, it looks like a lot of fun for us… and the kids.